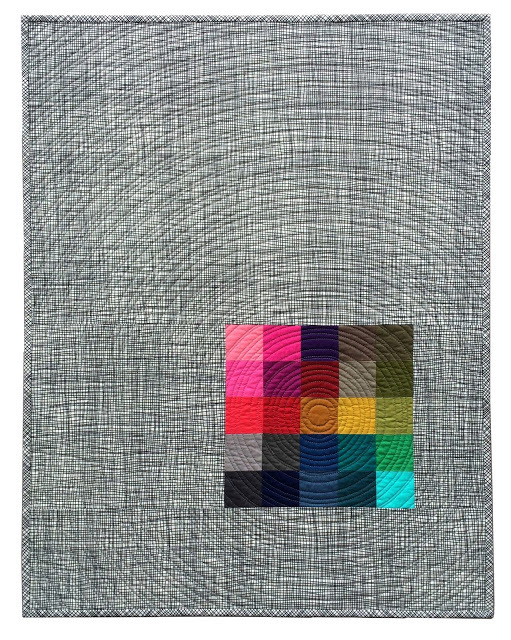 We love modern quilts! 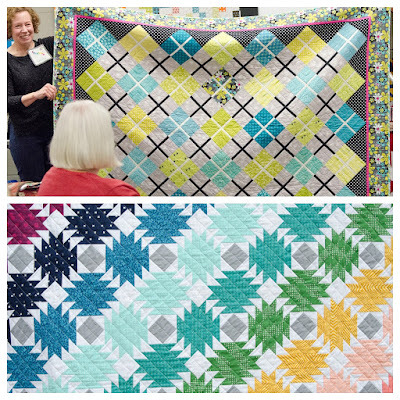 This month we explored how we can create the modern look in our own quilt designs. 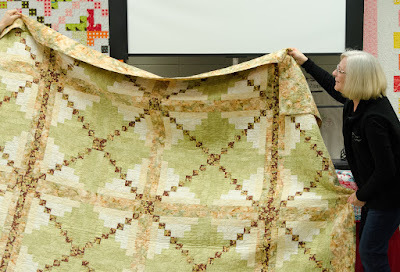 After a mini trivia quiz on modern quilt history, we reviewed the design elements found in modern quilts according to The Modern Quilt Guild. 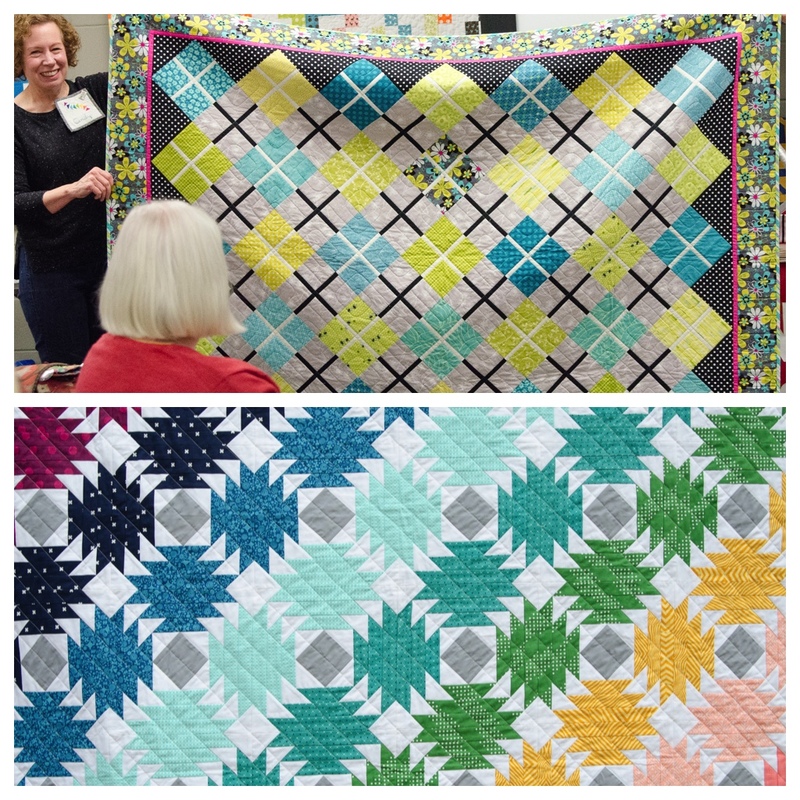 Our members then shared their own modern quilts and we had a fun exercise finding the modern elements in each. Hopefully, we all went away with some new ideas on how to add some modern flair to our quilt creations! 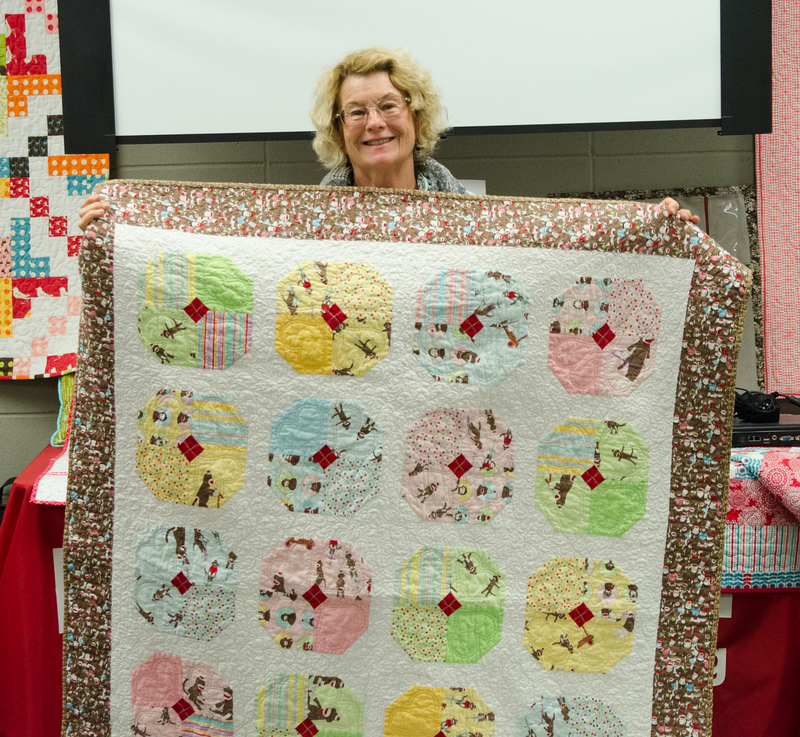 Cheryl was presented with the finished Spool mini quilt, pieced by our Board members and quilted by our VP, Faye Jones. 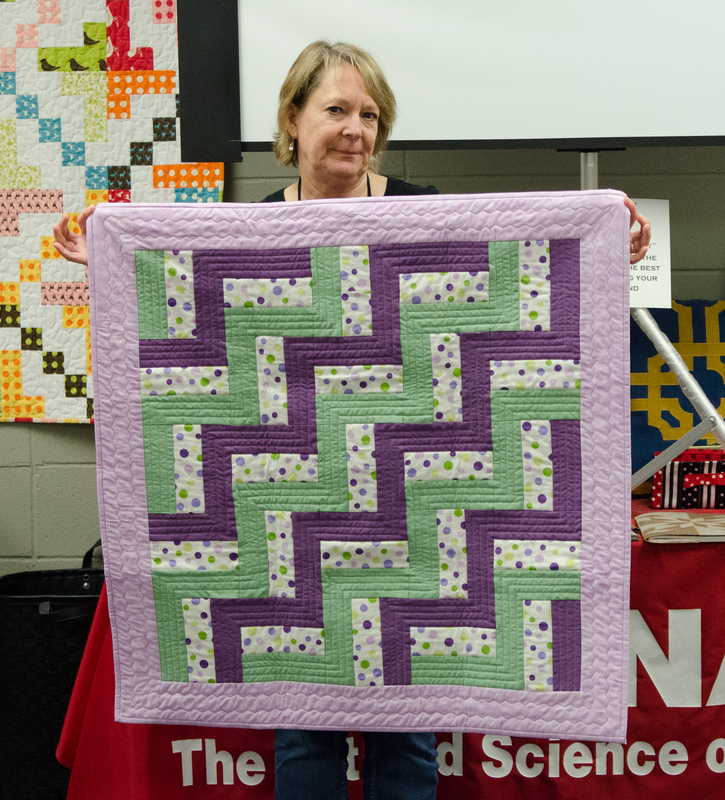 Valorie Kasten presented the finished quilt for this year's QuiltCon charity project. Thank you Valorie for organizing, cutting and quilting this one. Many of our members participated by piecing the blocks, stitching them together and our Treasurer, Paige, finished up with binding. We couldn't be happier with the results! After QuiltCon, the quilt will be donated to Habitat for Humanity. Cheryl Brickey will be selecting our monthly block. 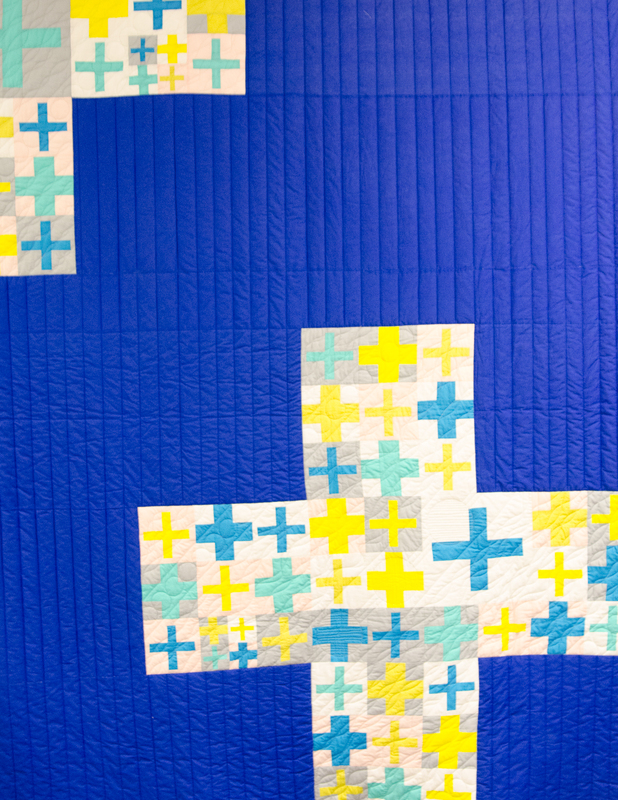 The blocks will be modern and feature many different piecing techniques. 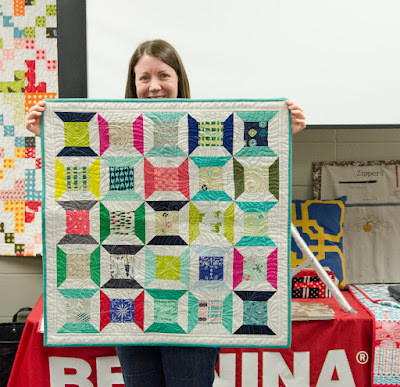 It's the perfect opportunity to learn something new in a simple one block format. You can choose to keep your block or donate it to the guild to be used for charity quilts. 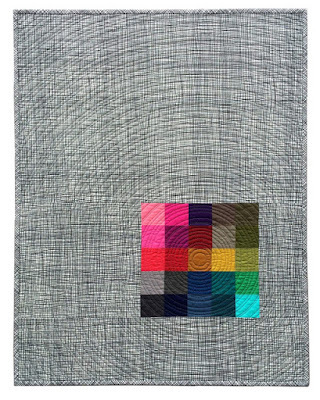 Block size is 12 1/2" x 12 1/2" unfinished. 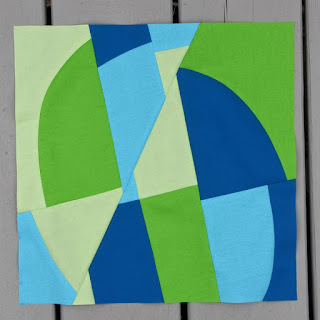 Extra note: This block sometimes creates quite large scraps from trimming the block to the finished size. 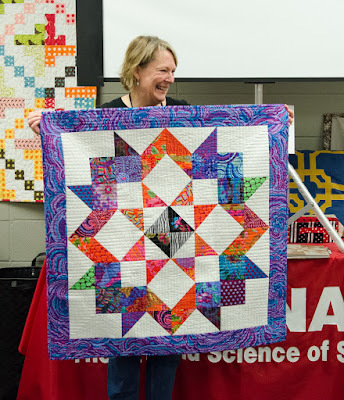 Please bring these block scraps also. Quilters of SC Spring meeting is in Aiken on March 25. The speaker is Cindy Grisdela author of the new book "Artful Improv". Sew-In day is January 27th any time from 10-4 at the Bernina Sewing Center. 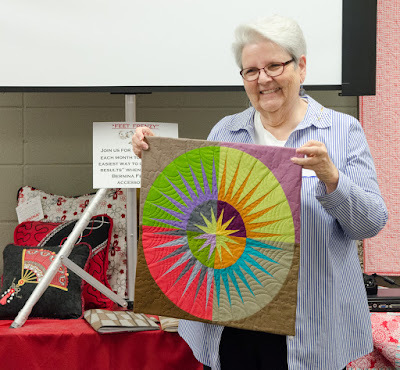 Bring whatever you'd like to work on and have some fun social time while you sew! 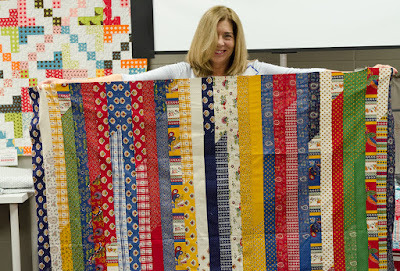 Admission is one half yard purchased in the shop. One participant will go home with the bundle! Retreat plans are still in the works for April. More info to come once we have a confirmation from the retreat center. 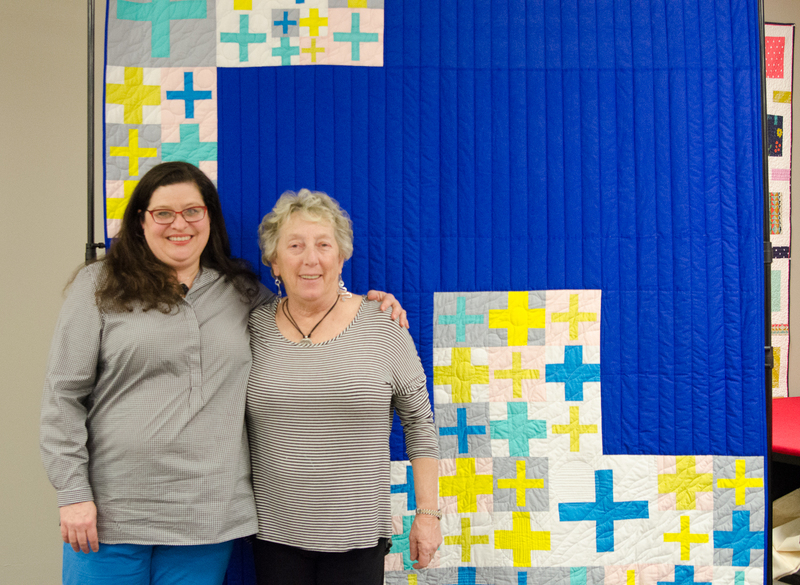 We have plans to bring Michelle Wilke (Factotum of Arts), a modern designer and quilter, to Greenville for a lecture and workshop in May. Details are being finalized. Watch for more information on when you can sign up coming soon! We are grateful for Nancy DeJong, who has volunteered to be our Membership Chairperson. 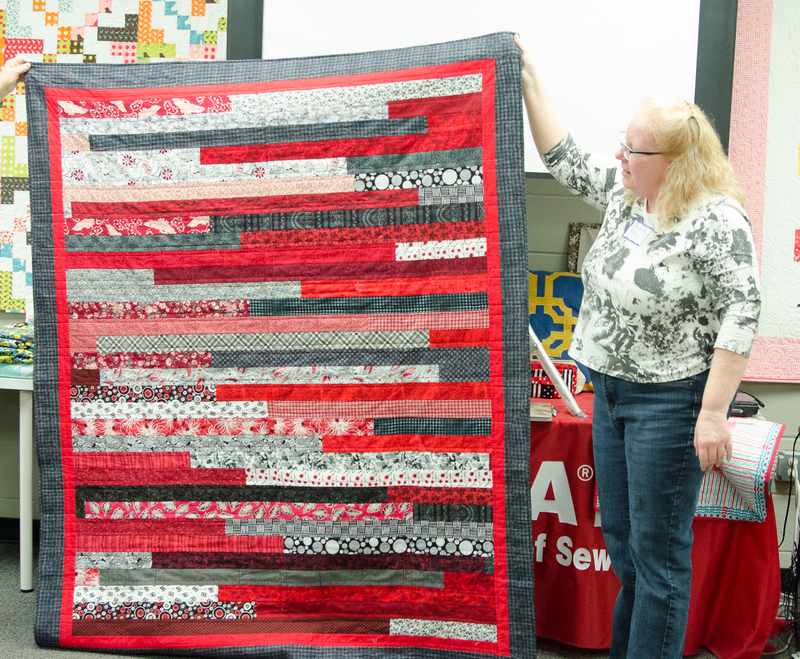 Watch for proposed changes to the Bylaws, which will be voted on at the next meeting. GMQG now has an Instagram account! We are @greenvillemqg. Be sure to follow us if you're an Instagrammer! Johnny McKenzie is also offering free beginner classes in her home for our members. Two classes "Ready, Set, Quilt" and "Quilt Making/Sewing basics" will start in January. For more information or to participate contact Johnnie by email at johnniemckenzie@att.net. Thank you Johnnie! So many beautiful quilts were shared at our meeting this month. Eleven of these will be going to charity, several being donated to families who have lost so much in the fires in Gatlinburg, TN. 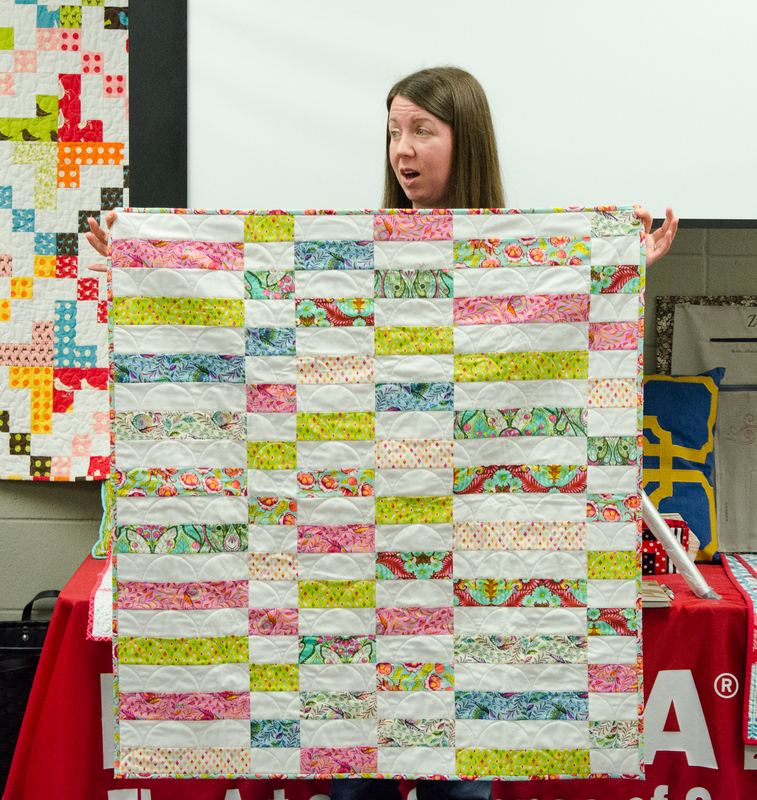 Next month, the focus is on improving our machine quilting skills. We'll have demos of three different machine quilting techniques in a Round Robin format. Hope to see you in February!